BCCI’s selection committee, led by MSK Prasad, recently dropped India’s senior cricketer MS Dhoni from the T20I squad of India which will face West Indies and Australia. The decision received applaud because Dhoni wasn’t contributing with the bat as much as it was expected. But the move was criticized as well for leaving out Dhoni who plays only limited-overs format and may not get much game before World Cup after being left out from the T20I side. Ajay Jadeja came in rescue for Dhoni. He tried to put logic behind his words and said selectors should look beyond stats to find out Dhoni’s contribution to the team. 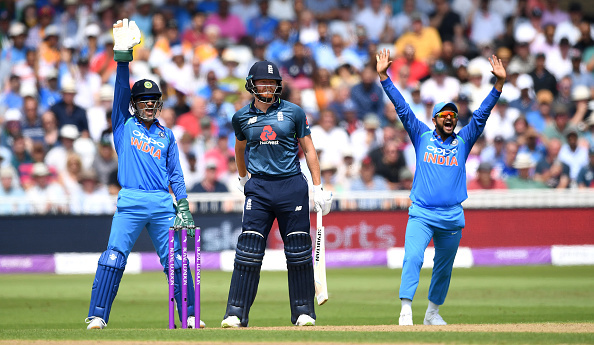 Jadeja also added that if the 37-year-old wants to get back his touch, it can only happen on the international platform and going back to domestic cricket won’t help him much. Even Zaheer Khan agrees with Jadeja’s words and said Dhoni will bring out his best in upcoming World Cup, and the wicket-keeper batsman deserves faith from the selectors. However, MSK Prasad had said Dhoni’s T20I career isn’t over yet. “Not yet,” started off Prasad soon after questions on Dhoni’s T20I retirement were thrown after the squad announcement in Pune. “We want to try out other keepers for the second keeper’s slot,” he explained.